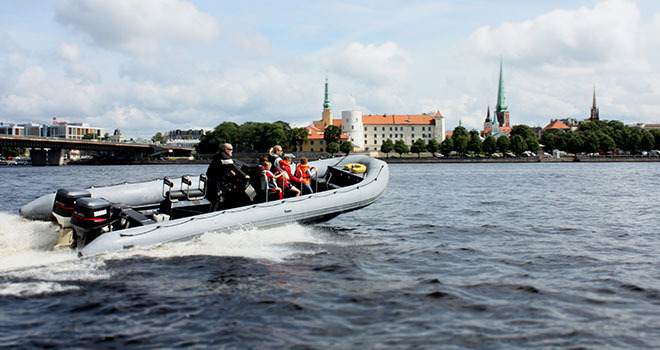 Join in the adventure of RIB Speed boat, it is the most exciting sightseeing trip in Daugava river. Boat has 600 hp and can reach speed up to 100 km/h. 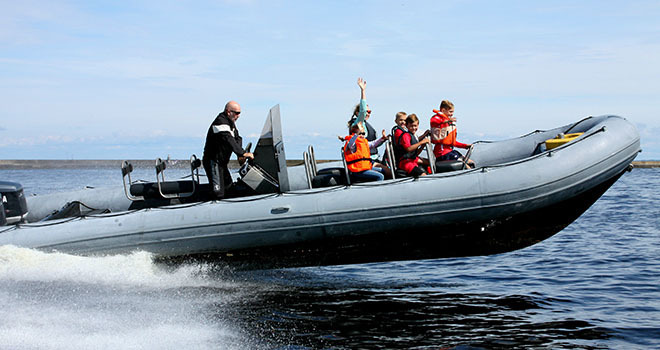 Beautiful sights mixed with adrenaline makes this excursion very special and mind-blowing. If you are in Riga this trip should be in your "must do" list! 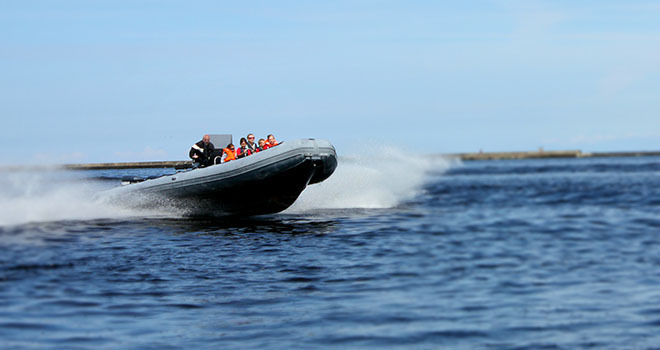 We will meet you at your hotel and then you will be driven to RIB Speedboat. 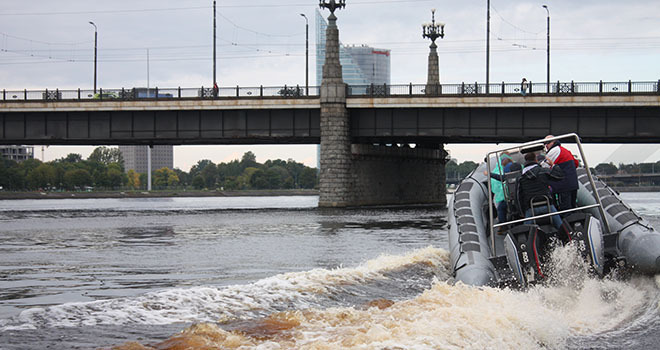 During the journey you will see Riga City Yacht Club; Riga Commercial Port terminal of containers and bulk cargo; Kundziņsala Island; Riga Shipyard docks; the largest icebreaker - "Varma"; River-head of Daugavgrīva and Daugava into the Baltic Sea. Then we will take a ride out in the open sea. From there one can see lighthouse of Daugavgrīva, Daugavgrīva's stronghold and the military base of Latvian Naval force; little island of Love and Kundziņsala Island. After this crazy ride you will be taking back to your hotel or dropped off in the Old town.